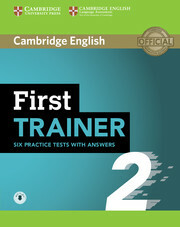 This pack contains the Student's Book with answers and Audio CDs. 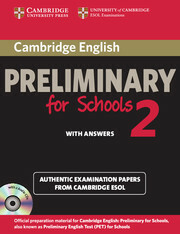 The Student's Book with answers contains a clear explanation of marking and grading, authentic sample answers, transcripts, and frameworks to help with thorough preparation for the Speaking test. The CDs contain the exam Listening material. The Audio CDs and Student's Book with or without answers are also available separately.